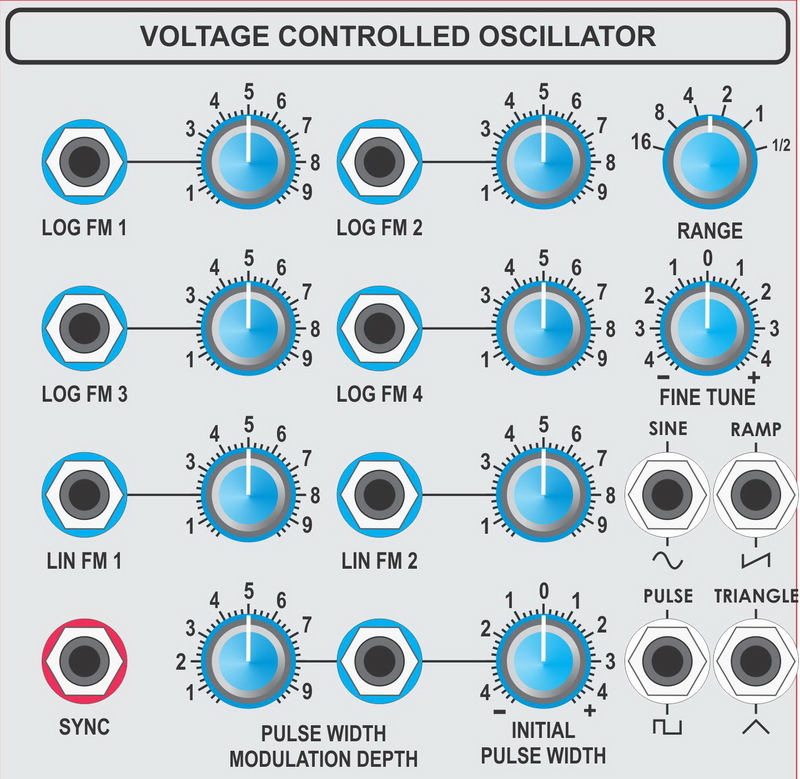 Voltage controlled oscillators (VCOs) are the heart of any synthesiser. The quality of the VCOs ultimately determines the performance of the synthesiser. The two principal requirements of a synthesiser VCO are stability and good tracking. Stability means that if the control voltage applied to the VCO remains constant, then the frequency of the VCO should also remain constant and not drift. Tracking means that the VCO must follow the prescribed logarithmic 1 Volt/Octave characteristic as closely as possible. In particular, where several VCOs are used they should all have similar characteristics. These parameters are particularly important in a chording instrument where a number of VCOs are used simultaneously. In a synthesiser using only one VCO slight drift or deviation from the 1 Volt/octave characteristic might not be noticed since the ear is not particularly good at judging absolute frequency, unless a person has `perfect pitch'. In any chording instrument however, even slight mistuning is immediately apparent due to the formation of beat notes.